I was excited as heck. 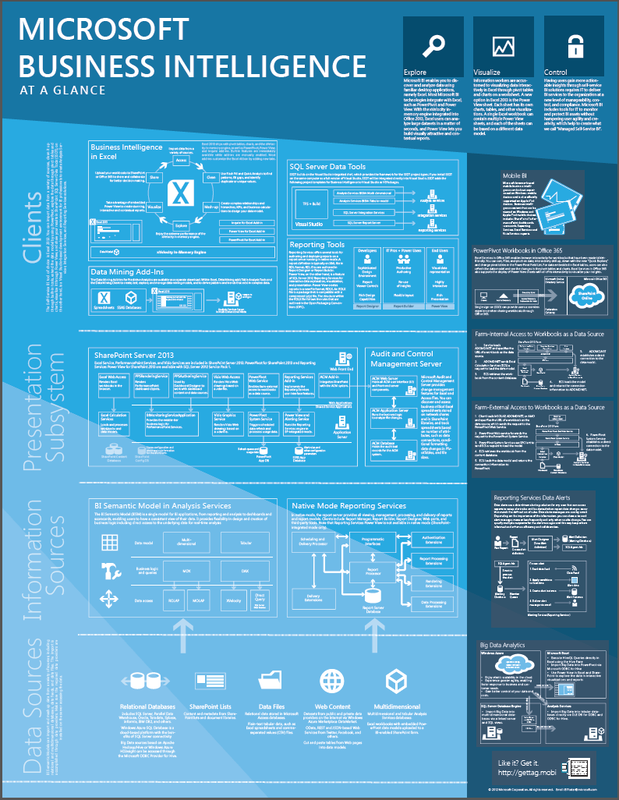 I found this amazing Business intelligence poster(to be more precise @m0dernist found it) that I wanted. We are doing a bunch of BI initiatives and it looked like it would be a helpful visual tool for us. So I went to Microsofts site got the image(what I thought was the image), sent it on to posterburner.com and waited happily for my super cool poster to arrive. My long cardboard cylinder showed up in short order. Hands shaking with geeky anticipation I carefully unfurled my master piece… and boy did it look bad. Their responsive support saw the issue and started looking into why and how it could be fixed. During this time I, the super awesome tech, was feeling pretty good. Obviously they were all over the mistake they had made and they sure as heck were gonna make it right by golly or they would face my wrath and the wrath of my 3 followers. And this is where they decided to earn a forever fan and advocate of posterburner.com. I couldn’t really believe his response. It actually took me a day to respond because I was in awe of the greatness of it. I uploaded the wrong file, they created the poster that I actually asked for, it arrives, I am unhappy, I complain and blame them for my mistake, they recognize that it is actually user error(my end users would be tickled I think) and they don’t even bring that up. What they do mention is – They are willing to retype from scratch the poster if I can find the source – now I aint the brightest but thats gonna take a lot of time a lot more than the paltry amount they charge for their awesome service – they are willing to take the full cost of the error I created and do whatever the heck it takes to make sure I feel satisfied with their service. Well kudos to you posterburner.com and kudos to you Matt Stephenson you make the world awesome. I ended up finding the correct PDF and sending that on and they are getting it back to me asap. It rocks to do business with companies like this and even though i don’t have a need often if I ever do need to print me a poster, I know where I can go that’ll treat me like the princess I think I am. So check em out. They get it and they will treat you right! News has never effected me like it has this time. I just keep thinking 20 kids, 20 kids, 20 kids, 20 kids. I am so hurt. I feel so angry. I dont want to care this much. I am getting older. I can see those parents and what a terribly scary and soul twisting ordeal. How do you ever come back from that. How do you just not check out., 20 kids, 20 kids, 20 kids. Is it because the population is getting larger and there for by % more of us are broke? Faaaaasssskkkk. I know I feel wooped as hell. I had a few long nights recently and I kinda thought ok thats why it impacted me so much. But got up this morning got my coffee, sat down and started reading the news and just started bawling. Like a little girl. So i may be verbal in the next bit because i sure as hell feel like screaming. I hope you have a good day and do something nice for someone.